This is a guest post written by our colleagues at The SickKids Centre for Brain & Mental Health in Toronto. 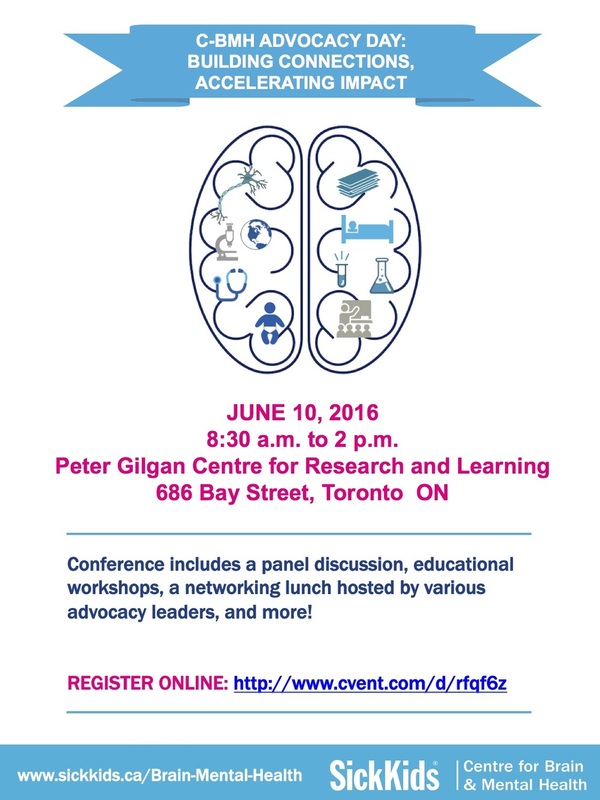 The Centre for Brain & Mental Health's inaugural Advocacy Day Conference:Building Connections, Accelerating Impact is now OPEN FOR REGISTRATION! This exciting conference includes a panel discussion, educational workshops, networking lunch sessions hosted by various noteworthy advocacy leaders, and more. *Please Note: For SickKids staff, a Cost Centre Number is required to register. This Cost Centre will be charged a $50 fee in the event that you register, but do not attend the conference on June 10, 2016.